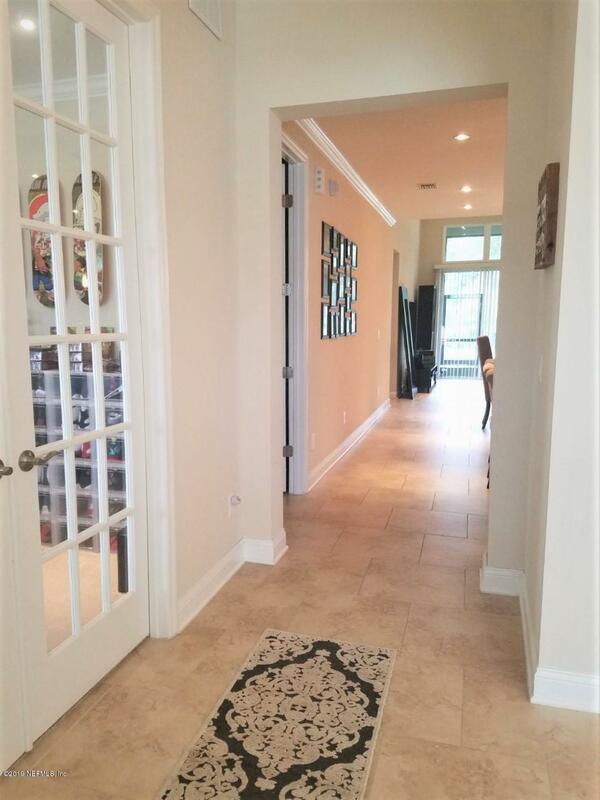 FOR RENT - occupied and ready for showings - available for a move-in by May 15, 2019. This unique one-story crown jewel is available For Rent for the first time! 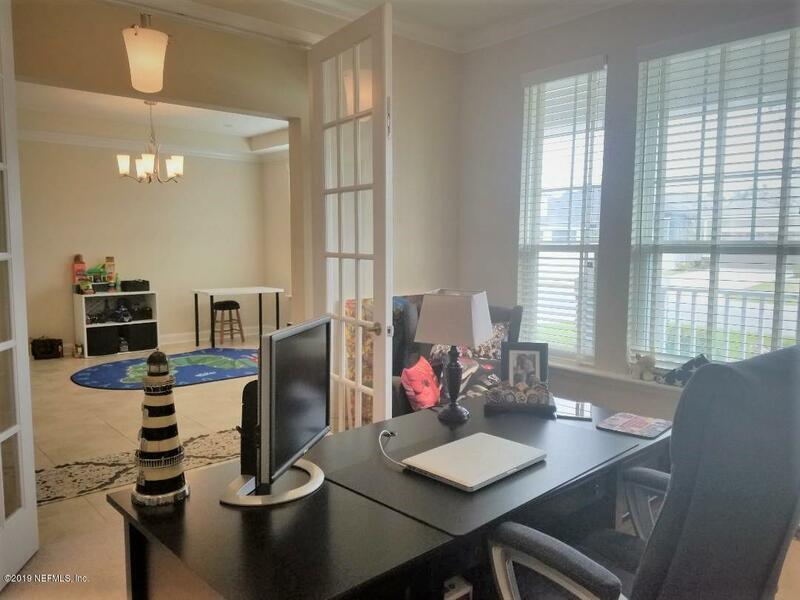 Offering 3 Bedrooms / 2 Baths PLUS a DEN/OFFICE, 2-car garage with ample additional parking, and a screened lanai with lake views! Its modern ambiance is stylishly refined throughout the entire home with elegant upgrades from the moment you step into the home. A welcome surprise is the elegant and very spacious Modern Kitchen, with an eat-in island, walk-in pantry, granite countertops, state of the art appliances - a refrigerator that speaks for itself, double oven and a water filtration system for drinking water plus a separate water softener was even thought out by these owners.Solar panels are also in place making this home energy efficient. Upgrades and more upgrades.... Built in surround sound system is even in place while you relax in the lanai, Master Bedroom and Master Bath, as well as available in the Den Office. Light fixtures and ceiling fans throughout have been eloquently upgraded. TV Wall Mounts in the Family Room and Master Bedroom are already in place for your convenience. Floor plan offers a formal dining room area being used as a playroom, an office/den with privacy french doors, family room with soaring tall windows, a spacious laundry room, two-car garage plus long driveway for additional parking, spa style master ensuite with walk-in shower and tub, two separate master closets, and plenty of windows allowing daylight throughout the home. But there is more, if you are looking for tranquility after a long day of work, you can relax in the screened lanai overlooking the pond, or you can pamper yourself in the resort style Clubhouse and all the amenities it offers. 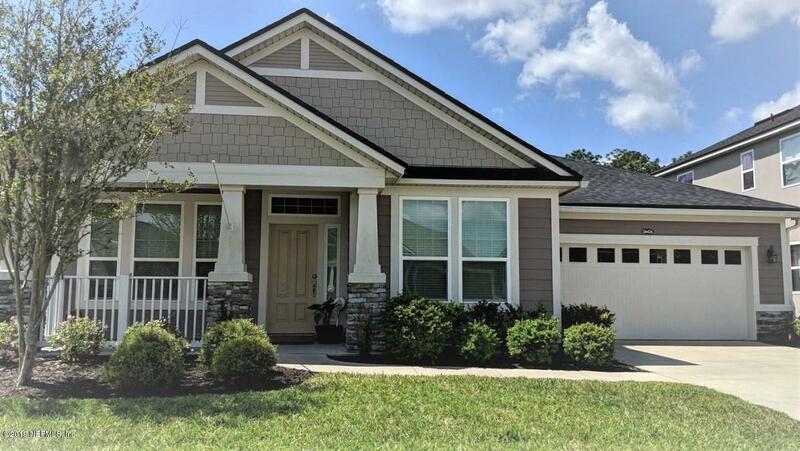 This community is steps away, literally walking distance, from the most talked about new Pavillion at Durbin Park in northern St. Johns County featuring the largest shopping center, restaurants galore and hotels! AND, let's not forget the school district continues to offer growth development to Bartram Park and it's vicinity. By appointment Only! Qualified renters must provide proof of income 3 x the amount of rent, verifiable good rental history, and credit must be 650 and above! One small pet may be permitted subject to approval of owners. NON-SMOKERS only!